11:30 AM Saturday It’s slow as I start to write this blog. There was a modest crowd at the 9 AM opening, but not nearly enough people to fill the pier. There haven’t been too many questions as of now and one small sale. Hopefully things will pick up. 1:15 PM Saturday There are many more people walking around, but few questions and slight interest. No additional sales. I’m really bored and restless. 9:00 AM Sunday Yesterday ended with a whimper, not a bang. After the two sales, the rest of the day was dead. Couple that with the extra long hours of the show and you can imagine it was insufferable. Hoping today will be a better day, but I’m not optimistic based on yesterday’s response. 12:00 PM Sunday There were very few people walking around this morning and almost no questions. Doesn’t look like it’s going to be a good day. 5:00 PM Sunday The show is over. We gave away many business cards — a sure sign the show wasn’t going well. There were a couple of reasonably serious inquiries, but no sales. We didn’t even make our expenses. Ugh! Unfortunately, it’s unlikely we’ll return. 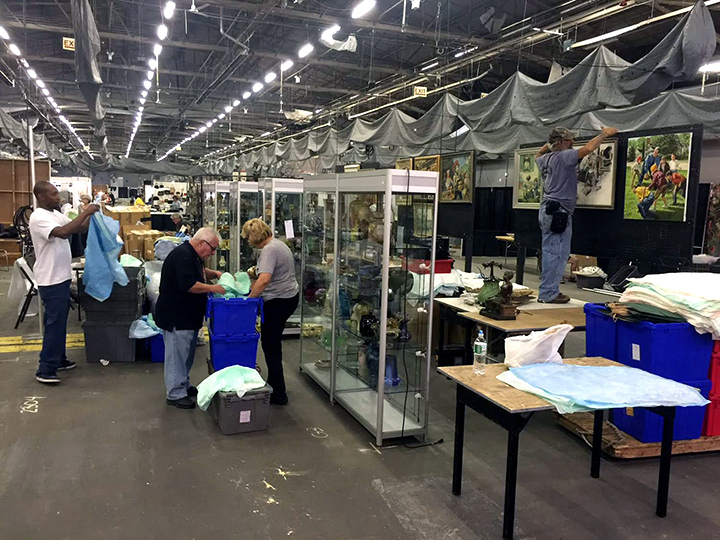 Yesterday was the first day of setup for the NYC Big Flea Market at Pier 94. The first day went smoothly except for getting to the Pier. Unfortunately we got stuck in traffic due to the Pope’s visit, so we were delayed starting. After that, everything went well. We should have the booth looking great for the Saturday morning start. Last year we met quite a few new people at the show. 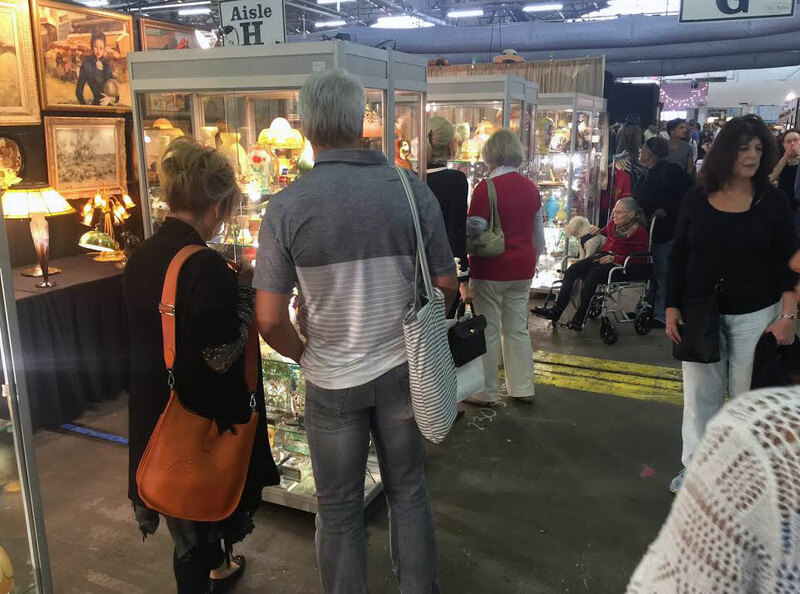 Even though the venue is the same as the November Pier Antiques Show, the promoters use different advertising and publicity, attracting different people. Hopefully the same will happen this year and we’ll make sales to new clients (but all old clients are welcomed and encouraged). 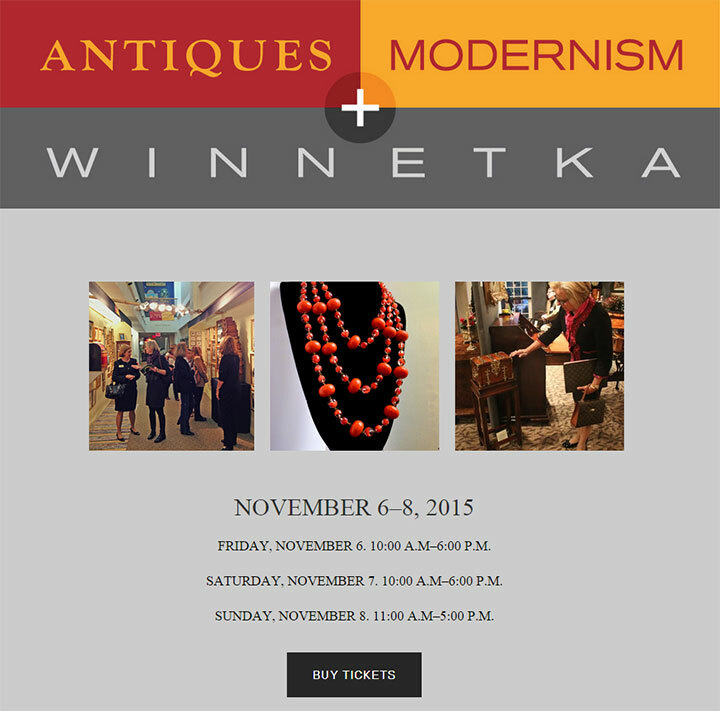 The show opens at 9 AM on Saturday and closes at 5 PM on Sunday. The Pope will be gone by Saturday, so traffic should be back to normal. Hope to see you there! Tune in Monday for the results. 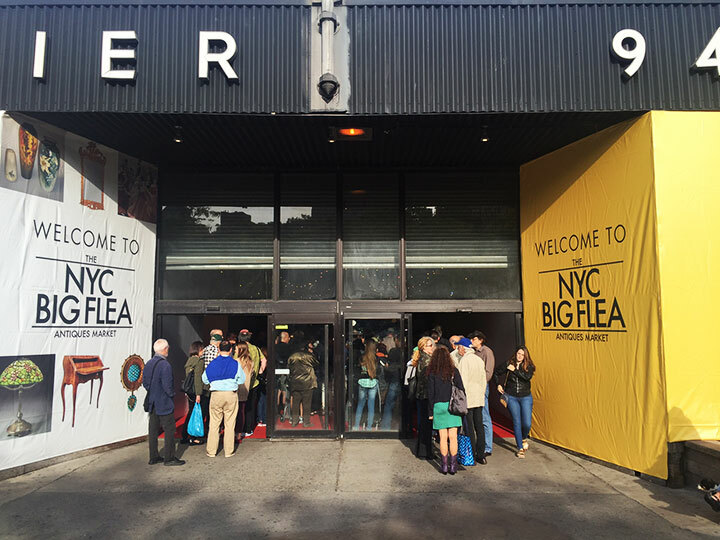 The NYC Big Flea Market will open to the public this coming Saturday, September 26th, at 9 AM and close on Sunday, September 27th, at 5 PM. 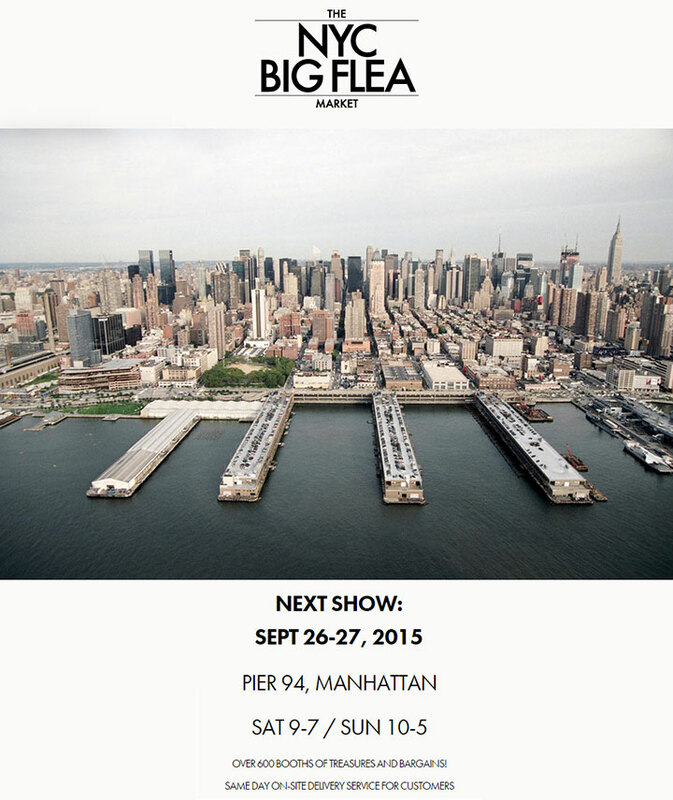 The show is an offshoot of the DC Big Flea Market by promoter D’Amore Promotions. It will be held at Pier 94, 54th St. and the Hudson River, on Manhattan’s West Side. 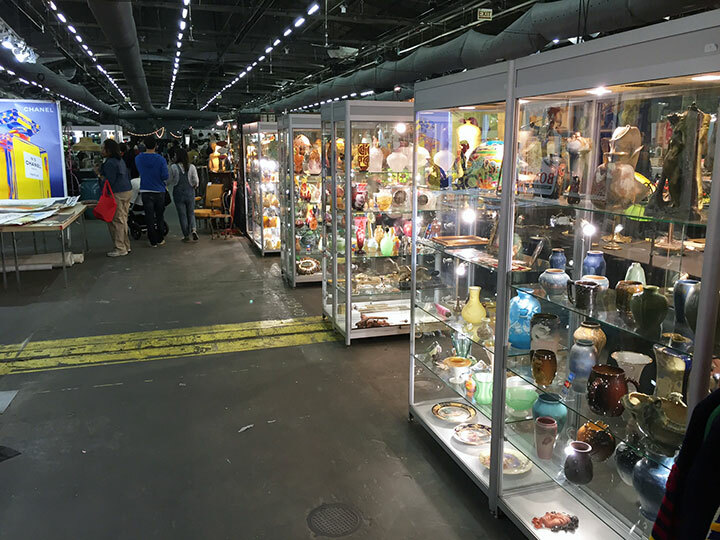 This is the same facility where the customary Pier Antiques Show takes place twice a year in November and March. Last year was the first time for the show and it worked out well for us. Attendance was good, interestingly with mostly different people than the usual Pier Antique shows, probably due to the different advertising and promotion. That’s a good thing. I don’t want to see the same people in the same facility in September and again in November. Last year we made some nice sales and had a profitable show. 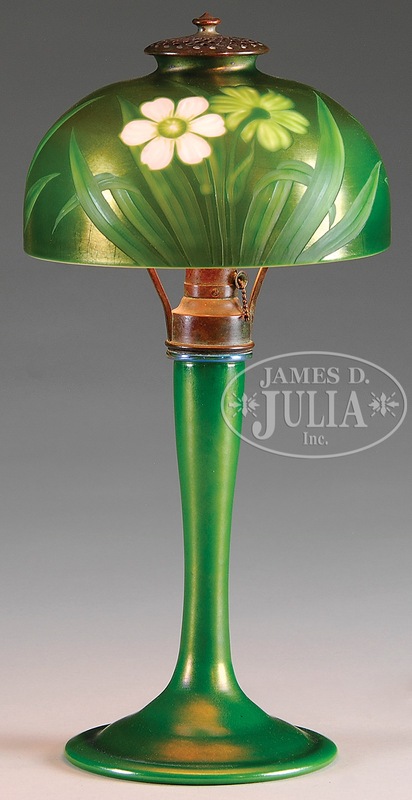 We’re bringing a really great selection of American and French glass and lamps by Tiffany Studios, Daum Nancy and Gallé, to name just a few. It will be worth your time and effort to visit this new and different show. 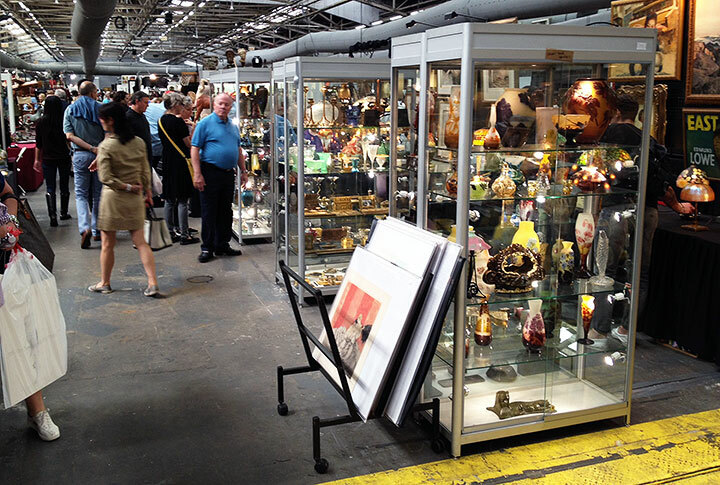 Many of the dealers don’t ordinarily exhibit in New York, so the displays will be totally different. Thursday’s blog will be delayed until Friday, so I can post from the show floor and next Monday’s blog will have the results! In the more sad news category, I learned of the death of Don Williams, veteran antique show dealer, who passed away on September 16, 2015. I tried to find an image of Don, but he was old school, so he’s not on the Internet. He was a gentleman and will be missed. 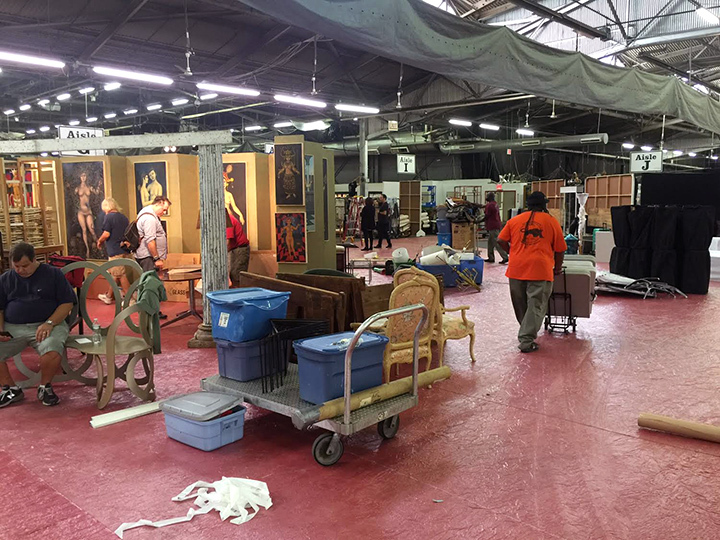 If you read Monday’s blog, you know that I was almost shut out trying to buy some items at auction this past weekend. I’m happy to report that the trend is continuing. Got outbid at a couple of auctions this week by a mile, so the markets are good. Yesterday I tried to buy an important 9¼” Schneider vase with a padded and wheel-carved medallion at Auctionata in Germany. I left what I thought was a good bid, but it was to no avail. 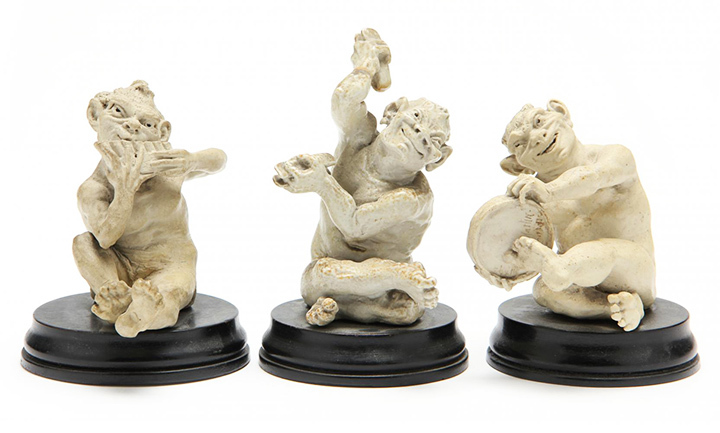 The bidding started at €1,500 and ended at €7,785 ($8,790) — a good price for a collector, but not for a dealer. 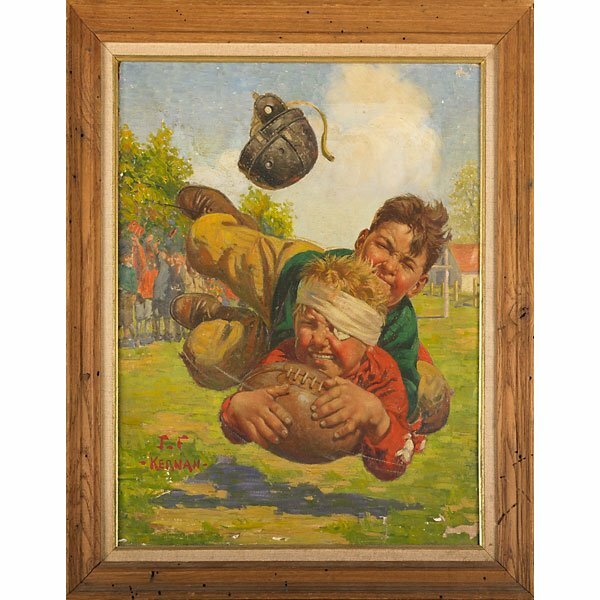 Wright Marshall, Ltd., U.K., held an auction on September 15-16 which included several minor Martin Brothers objects. 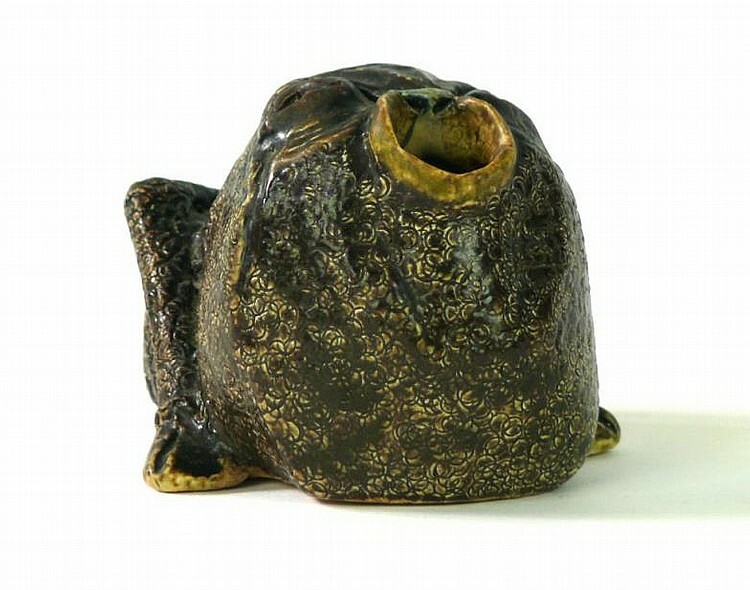 Included in the group was a small Martin Bros. spoon warmer, slightly over 3″ tall. Estimated to sell for £300 – £400, it realized an impressive £6,200 ($9,615). No luck this week, but I’ll keep plugging away. On vacation this week, so I didn’t have the time to write an original post, but I did find the Warhol theft interesting. Click here to read the article from artnet.com. Take a careful look at the photo above. 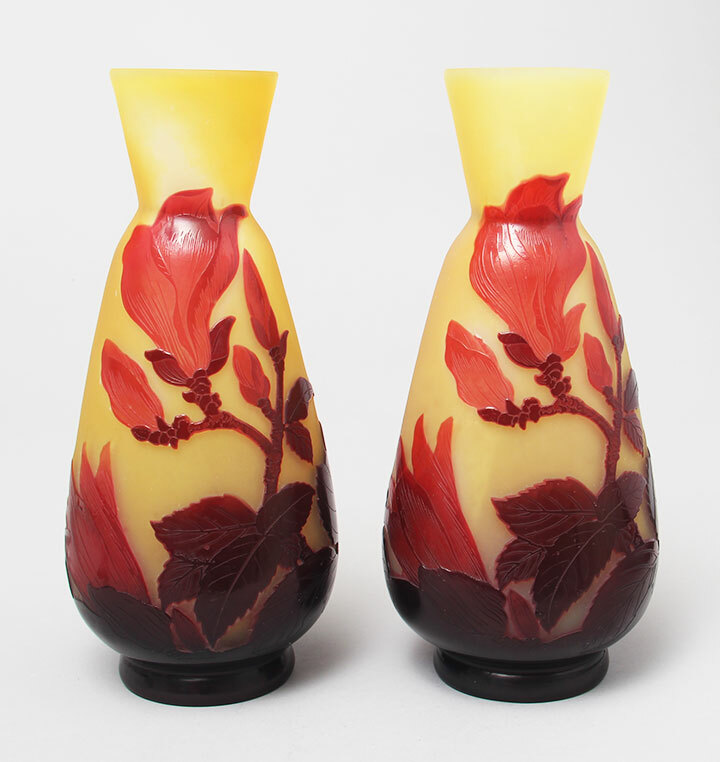 The pair of vases were made at the same time at the Gallé factory, but they’re not identical. If you look carefully, you can see small differences, like the detail within the central flower. 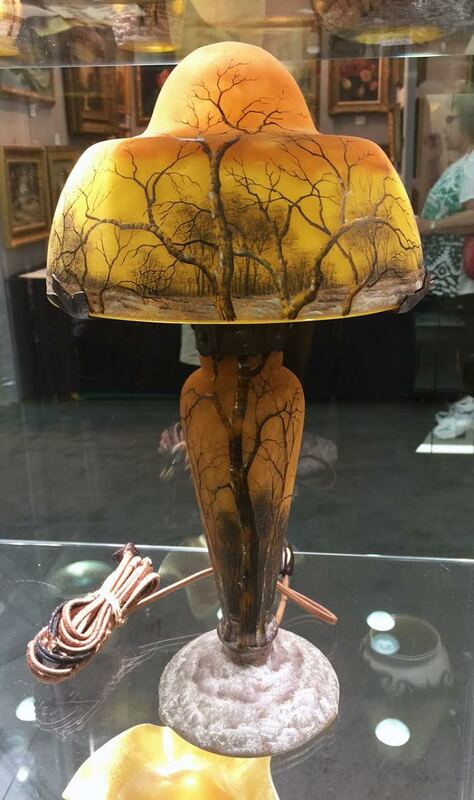 The glass artists started with a prototype that was the standard to copy, most likely a stencil, but were given latitude to make minor changes, as they saw fit. Scrutinize the photo above and you’ll find other minor differences. 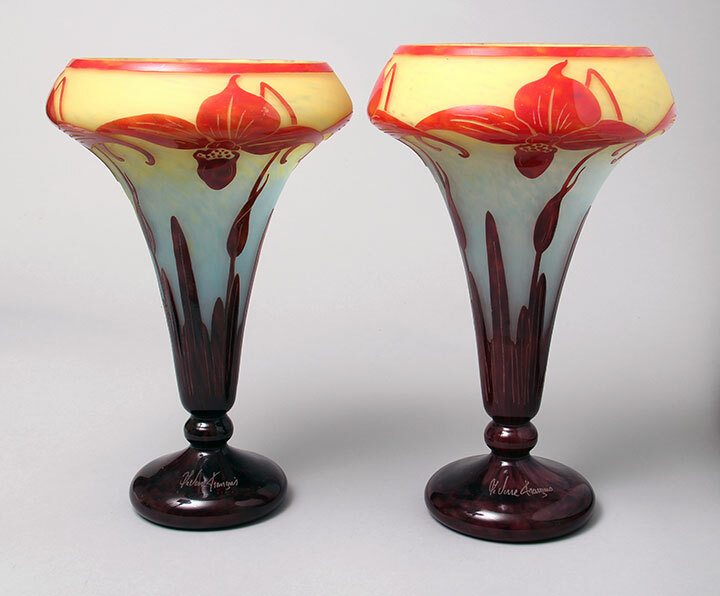 The two vases above, by Le Verre Français, were also made at the same time and display small differences. The easiest to see is the difference in height, but there are also differences in the decoration. The easiest ones to spot are the tips of the petals at the very top. Cutting the pattern into the waxy resist used to cover the vase was all done by hand. 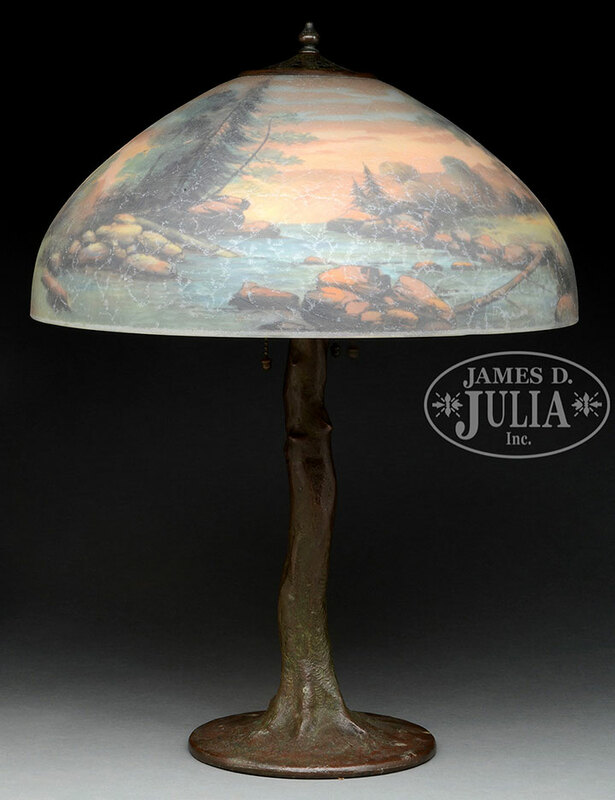 Each time the artist repeated the design, he/she made slight changes to the decoration, so they were never identical. 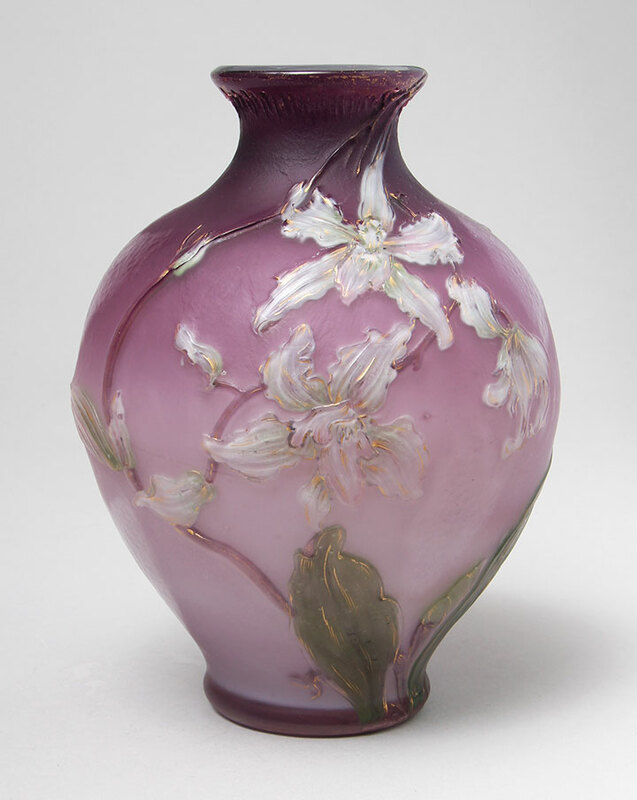 Lalique vases can be identical because they were cast in molds. French cameo vases were not molded, except for blownout vases. 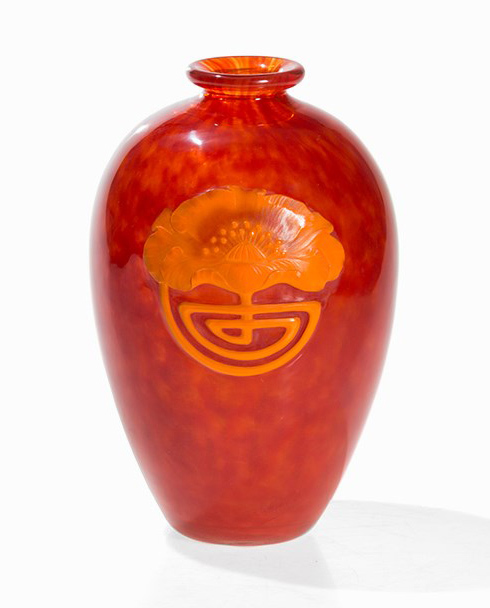 Even those vases were not identical because the designs were carved by hand after being mold-blown. Small differences occurred during the process, making each one unique.